Hollywood: Stop Helping! The Help was fine as it was. 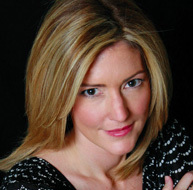 An Open Letter to Kathryn Stockett. I’m sorry for your loss. I mean, really, truly, I am sorry for your loss. We can’t expect your fantastic first book to translate on the big screen exactly as you wrote it, and into 2 hours and 17 minutes. That would be asking for perfection, and we know nobody’s perfect. However, there were some key pieces missing in the film adaptation of your book, and I felt the void. It left me wondering if others who have read your novel felt the plot changes, too. Now, Ms. Stockett, don’t get me wrong—the cast of “The Help” is tremendous–they did you proud by acting out your characters as you wrote them. Miss Skeeter (Emma Stone), Aibileen (Viola Davis), Minny (Octavia Spencer), and Celia (Jessica Chastain) were almost exactly as I imagined them, as if they jumped off of the very pages themselves. The chemistry among the women was infectious, and I found myself rooting for all of them, just as I did in the book. Bryce Dallas Howard, who played Hilly, almost stole the show as the conniving, controlling, snobby, bigot who is this story’s antagonist. I enjoyed watching her go down. What I didn’t understand, however, was why Hollywood didn’t incorporate some of the finest moments of the book—namely, the wonderful resolution that came for Aibileen, one of our heroines. It was completely left out of the film—and it was such a great conclusion/tie-in with Miss Skeeter’s decision. Likewise, what was up with the change of relationship and situation between Miss Skeeter and her mother? Why wasn’t Stuart’s story played up more, as it was an important part of Miss Skeeter’s life and then later, her change of direction? And additionally, the scene on the porch that occurred with Miss Skeeter, her mother, and Hilly—WHAAAAATTTTT? Added drama, I suppose, but trust me, Ms. Stockett, your book contained plenty of it already without having to embellish it (and take an entirely different course than your imagination originally intended). 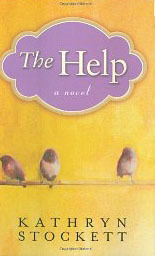 The anticipation and excitement for “The Help” was talked about within my circle of girlfriends for weeks, even months in advance of the release of the movie. Admittedly, I did enjoy it despite Hollywood’s alterations. But if I were you, I wouldn’t like seeing my work changed or adjusted (for no apparent reason) any more than I would like to see the Mona Lisa’s smile made more prominent by adding pearly white teeth to her or seeing her with invisible braces. I guess the bottom line is that the integrity of one’s work is at the mercy of selling a lot of movie tickets. So, Ms. Stockett, keep writing. You wrote a fabulous first book. You swept us away with it. We all wish we could write an amazing first book. And I promise to keep reading, even if I’m not sure what the end result will be on the screen. I happen to be a pretty big fan of sticking to a brilliant plot—no matter what the cost. We could have written the same letter of regret to Charlotte Bronte (assuming, that is, that she were still among the living) with regard to last year’s remake of JANE EYRE. Hollywood often has no “class”–just “crass”!